Adhesive tape box sealing has its uses and benefits. It is not the same to close a box and staple it than to close it with a seal of adhesive customised tape. Much better than using clear tape for tamper proof, since tailored adhesive tape box sealing also serves for identification purposes. 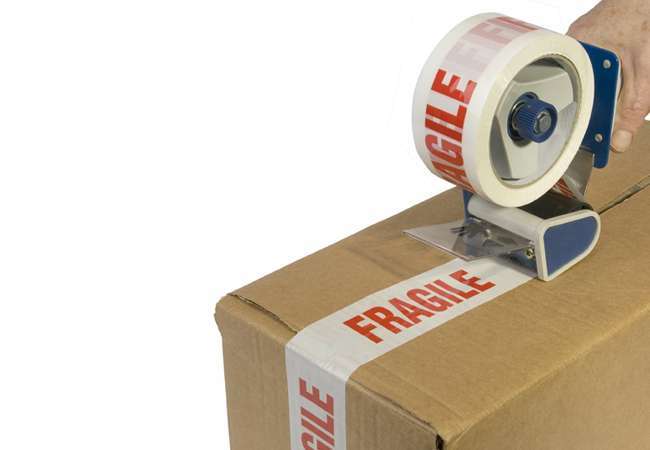 Hence, sealing is as important as adequate protection for the security of the package. First, a security seal is a physical device placed as a closing mechanism. This tape ensures it’s tamper free. Once set, the seal cause destruction if removed. Second, the adhesive tape and the seals are the same. They are used to secure the different types of packaging materials, making it impossible to open and expose the merchandise. Adhesive tape is a very common adhesive element. Third, the tape comes on a roll, of different sizes, widths and colours. Additionally, the material is usually polypropylene (PP) or polyvinyl chloride (PVC). In the case of very specific safety requirements of the closure, with a special packing seal. Although there are many classes, the most common are acrylic, being very resistant, or solvent, with an adhesive able to withstand extreme temperatures. To start, we must know that to securely seal a box, ropes, cellophane tape, sealing tape or wrapping paper must not be used. The best thing is a strong adhesive tape, two inches or more in width. On the other hand, a pressure-sensitive plastic tape is the easiest and most convenient type of tape. It adheres without water and to various surfaces and shapes. Adhesive tape box sealing: How to seal a box? Its most correct use is to apply three layers on both the top and bottom of the box. In the case of boxes with inner flaps, put three strips, so that the central union and the two sides are sealed. In boxes with corrugated cardboard and overlapping flaps, it is best to put three bands of tape both above and below the box, so that all three edges are sealed. Additionally, we have tape reinforced with nylon. This tape is more resistant than others. Although the procedure is the same as others, it would be for heavier boxes. To conclude, we recommend to close the box tightly, it is essential. Choose a sturdy and quality tape. Do not skimp tape, always passing it through the opening zones. Put the H-shaped seal, covering all gaps between the flaps. Stick the label perpendicular to the closing flaps of the box, as it acts at the same time as a warranty seal.